Green Minneapolis is making our city’s newest public space your downtown oasis. At 4.2-acres, The Commons is an active park that brings neighbors together on common ground. 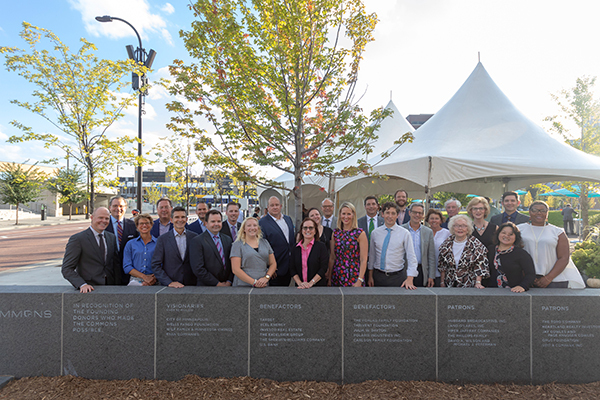 Uniting public and private sector funding, vision and leadership, Green Minneapolis successfully fundraised $14 million to fund construction of The Commons and an operating reserve. The new gathering space catalyzed the transformation of East Town, triggering substantial residential and commercial development throughout the neighborhood. 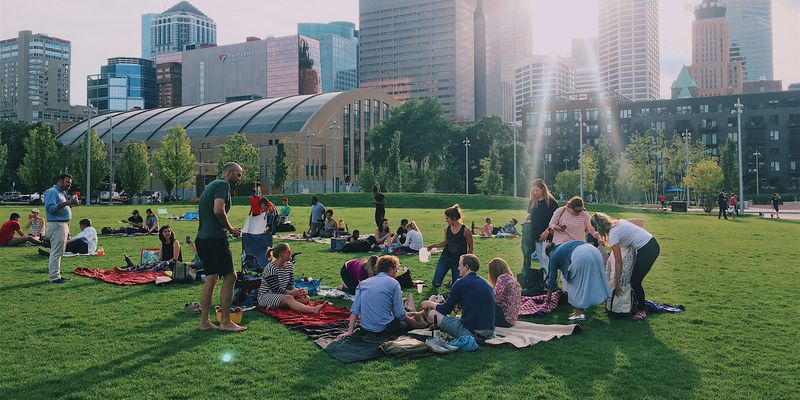 Compelling and welcoming spaces require the highest level of care, and since 2017 the City of Minneapolis has contracted with Green Minneapolis to operate The Commons on its behalf. Green Minneapolis manages a robust maintenance program to tend the park’s three lawns, hundreds of trees and thousands of plants. 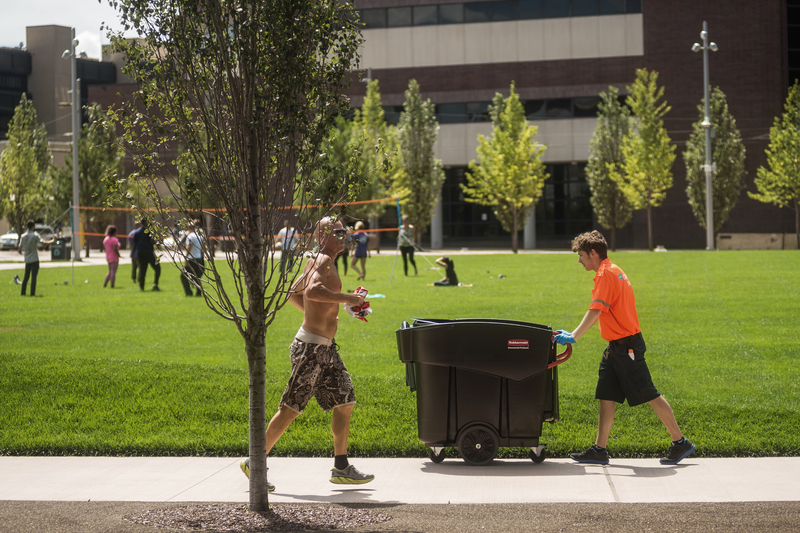 Park hosts provide hospitality services and ensure the space is litter-free. Through free and engaging public programs, we’re creating community at The Commons. 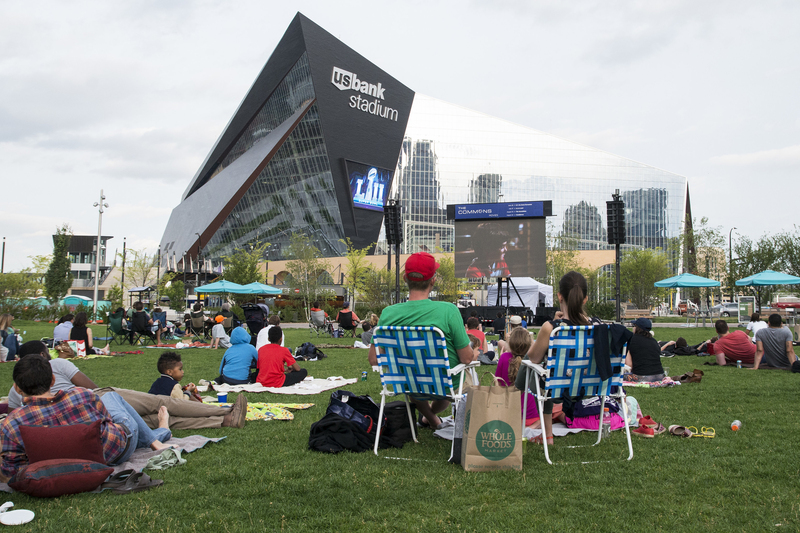 Green Minneapolis has hosted over 150 events in the last two years, from a weekly farmers market and monthly outdoor movie series, to a community concert by the world-renowned Minnesota Orchestra. Click here to view The Commons event calendar.